The Heritage Post Feature. | Christoph Mueller – Official Website. 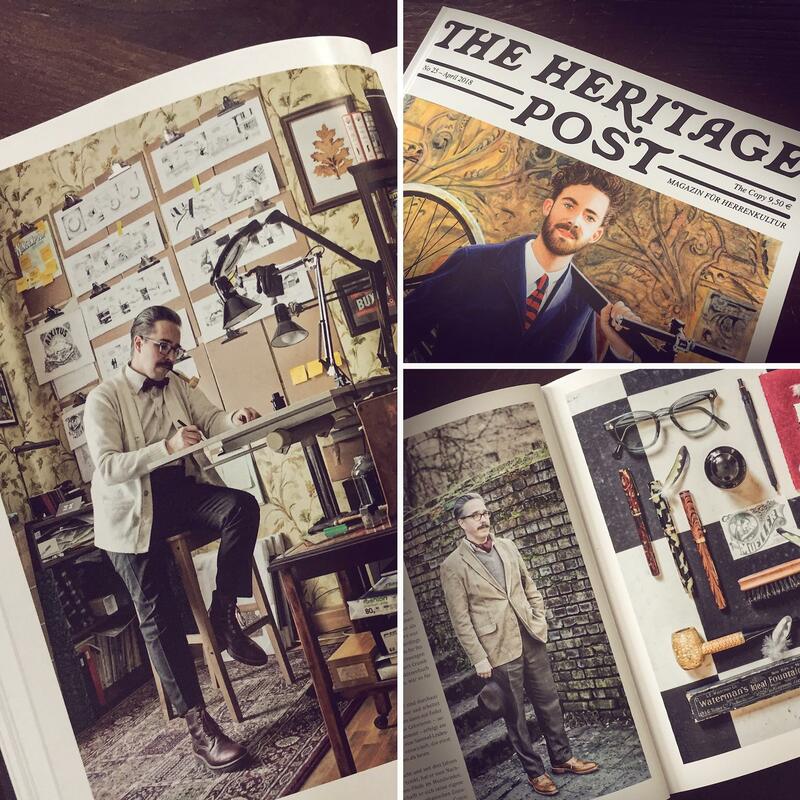 If you ever wanted to learn a bit more about my little eccentricities, odd tastes, and funny way to dress you are in luck: Issue 25 of The Heritage Post features ten pages on all that and more—A rare chance to peek inside the hallowed halls of my private home and studio! Previous post Mineshaft Magazine No. 35. Next post Internationaler Comic-Salon Erlangen 2018.